I’ll update after tomorrow’s appointment! We’re pregnant!!! I am 8 weeks and 3 days today and we are due on May 1, 2011!!! We had our second ultrasound this afternoon and everything looks amazing…a strong heartbeat and we even got to see the munchkin move some! So…this is now a pregnancy blog 🙂 I’ll post the ultrasound pics tomorrow…thanks again for your support and prayers!! Just so you all know it’s coming…I have an appointment on Wednesday and I promise I will update everyone with next steps after the appointment. It’s a late afternoon appointment though so don’t expect anything until late evening! Confused? So was I today! I had an appointment this morning that went VERY well. I am now the proud owner of two follicles (one at 18mm and one at 14mm) which are large enough to produce eggs! Dr. Scheiber was very happy and told me to take another 100iu of Follistim tonight, then trigger tomorrow, and we scheduled the FET for next Thursday, on Brian’s birthday. I was so freaking excited! He talked to me a bit more about my protocol too since it’s not a typical protocol…turns out that Dr. S developed the protocol himself and has only been using it for about a year. And…he’s had a 75-80% success rate!!! Obviously, I’m completely scared by this point and when I called Dr. S’s cell I got voice mail. Within about 5 minutes he called me back. 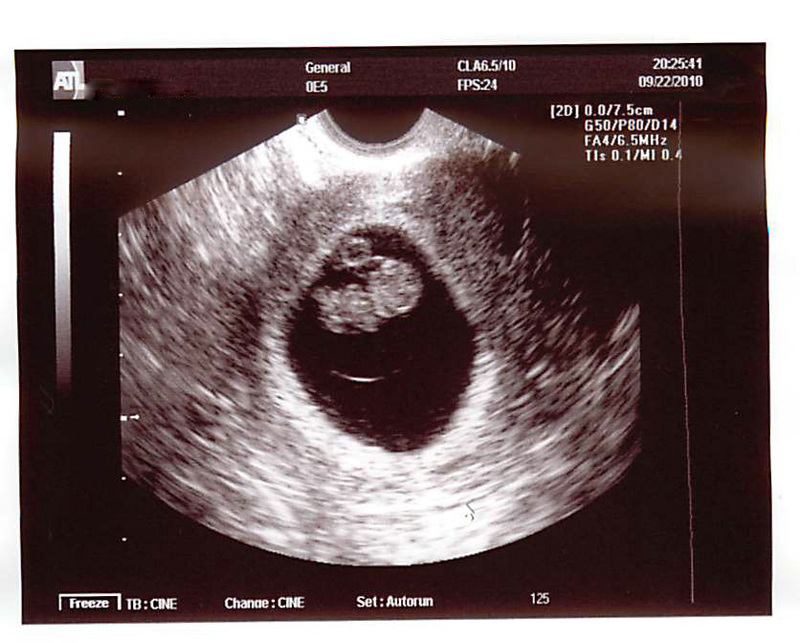 Turns out, my progesterone levels were elevated…which means I either ovulated already or am getting ready to ovulate. This is GREAT news!! My body has finally figured out what it’s supposed to do when the ovaries make eggs!!! Dr. S was pretty excited and so was I…this means that a pregnancy may actually regulate my body at some point, which I didn’t think was going to happen. However, this also means that we can’t do a FET this month. Without knowing exactly when I ovulate (like we would if I used a trigger shot) it’s hard to time the transfer for optimal success. So…he told us to go ahead and try “the old fashioned way” this month! According to Dr. S we already know that my lining is in great shape and that I’ve either already ovulated or I’m going to in the next day or so. And, we also know that I likely released (or will release) two eggs. I’m thinking it would be poetic if we got pregnant on our own after all of the time and money and heartache we’ve been through, but in the end, so long as I get to be a mommy, I’m game! Stay tuned…I’ve got to let my body do it’s thing and we’ll either re-do the same protocol next month, or be announcing our pregnancy in a few weeks! Sorry it took me so long to update and I hope everyone had a wonderful 4th of July! 1. Supplement this cycle with injections…same as when we did IVF, but not as strong of a dose. This will hopefully make my follicles grow large enough to trigger so I will ovulate on my own. 2. Start taking estrogen and progesterone to “trick” my body into thinking I ovulated, similar to what we did during our last FET. 3. Scrap this cycle and try the Femara again next month. I asked Dr. S what he would suggest and his initial response (joking of course) was “I would suggest that your body react to Femara like it always has! !” I LOVE my doctor and so appreciate that he helps us to keep our sense of humor 🙂 After we all had a good laugh he went back through our chart with me and said that he really thinks it would be best if we supplement with the injections and try to get my body to ovulate on its own since the “trick” didn’t work last time. So…I started injecting Follistim on Friday night and I’ll be going back on Wednesday morning…hopefully this will work and we’ll be scheduling a transfer!!! Today was my first scan for the cycle. I have had almost no response to the Femara, despite having always responded so well in the past. I go back on Friday to check and see if I’m just progressing slow but if not this month will be a bust 😦 As always, thoughts and prayers are MUCH appreciated and I’ll keep you all posted.